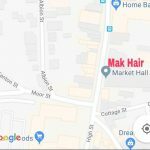 WELCOME TO MAK UNISEX HAIR SALON &TANNING CENTRE Learn more about us and what we offer by checking out our services list, and meet our team . Mak Hair Salon welcomes you we believe your hair is an asset, expressing style and beauty. We at Mak Hair offer a very professional service with a laid back atmosphere with quality service and expert staff. We have a deep appreciation of changing treads and total commitment to the experience our customers deserve. We are here to meet all your hair dressing, male grooming needs we give you 100% throughout your visit and serve great coffee. WECOME TO THE TANNING CENTRE We aim to deliver first class results every time you visit us. our team is trained to ensure you receive the best advise and guidance. We have stand up and lie down beds fitted with brand new American infinity TWIST tubes Ergoline and tansun .Our beds help with back pain, and the easing of Eczema and Psoriasis. We have a wide range of pro tan tanning creams from tingle creams to accelerator products and other sunbed creams We also have warm heated changing rooms for keeping you warm while getting undressed .